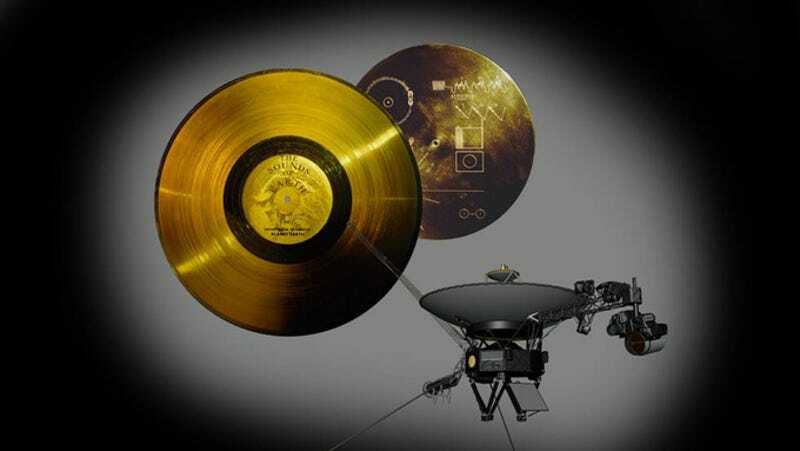 Launched in the late 1970s, the two Voyager space probes were equipped with a golden record containing sounds and images of life on Earth. Intended for alien consumption, this record has never been made available to the public in its intended form. An exciting new Kickstarter is now seeking to overcome this egregious oversight. This new crowdfunding campaign is the brainchild of Boing Boing editor David Pescovitz, who’s hoping to raise $198,000 by October 20, 2016. If successful, his team will reissue the Voyager Golden Record as a three-LP box set. Ideally, Pescovitz would like to distribute the records next year in time for the 40th anniversary of the Voyager launches. With the help of Carl Sagan, NASA developed this iconic record to provide an auditory and visual snapshot of life on Earth for any alien intelligence who might have the fortune of intercepting one of the two Voyager probes. Currently, Voyager 1 and Voyager 2 are in the outer reaches of the solar system, venturing ever closer to interstellar space. The record’s gold-plated aluminum jacket explains where it came from, and how it should be played. Recordings include the sounds of birds chirping, a train zooming by, and a kiss. Greetings are expressed in 55 human languages, and there are over a hundred images encoded in analog. Music on the album include works from Bach, Beethoven, Blind Willie Johnson, and Chuck Berry. Indeed, this will be the first time that the material will be made available on its intended medium. Back in 1992, NASA reissued the golden record in CD-ROM form, and it recently posted digital versions of the greetings and sounds onto SoundCloud, though minus the music. Needless to say, the reissued LPs won’t be exactly the same as the originals, which were printed onto gold-plated copper. The updated version will be vinyl and colored in a golden tint to match the look of the originals. Also, the Voyager discs were meant to be played back at an excruciatingly slow 16 2/3 revolutions per minute, which NASA did in order to cram all the material onto the record. The updated version will feature a normal playback speed. Gotta say, this is a really cool idea. If you agree, check out the Kickstarter page and make a contribution.